This week we decided to venture up to the very top of the mountain, to the highest point we can get to (without a helicopter anyway)…the Aguille Rouge, standing at 3226m above sea level. And for lack of a better expression, OMG the views were amazing. 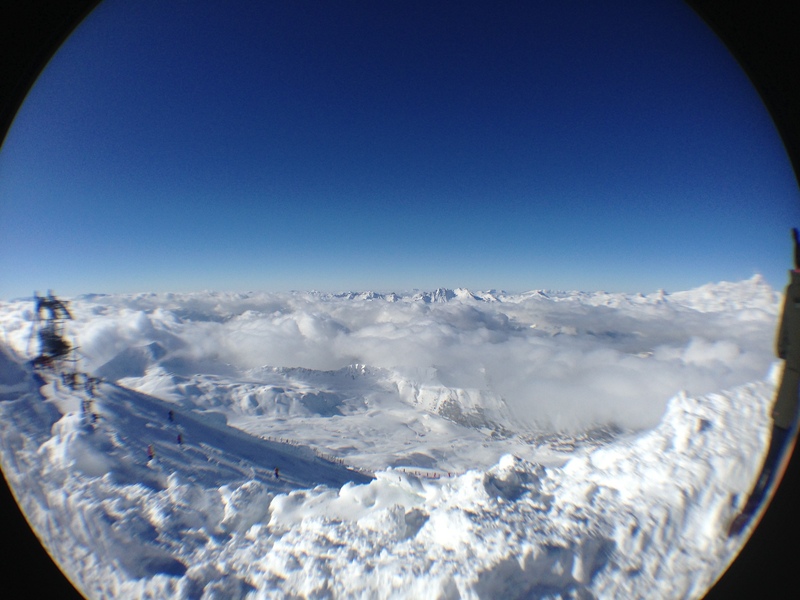 You could look out from the viewing point as far as the eye could see, over the top of the clouds and all the way across to Mont Blanc, the highest mountain in the Alps. It was a breathtakingly spectacular sight, and if it weren’t for the bitter chill that started seeping into our bones, we would have stayed up there all day!